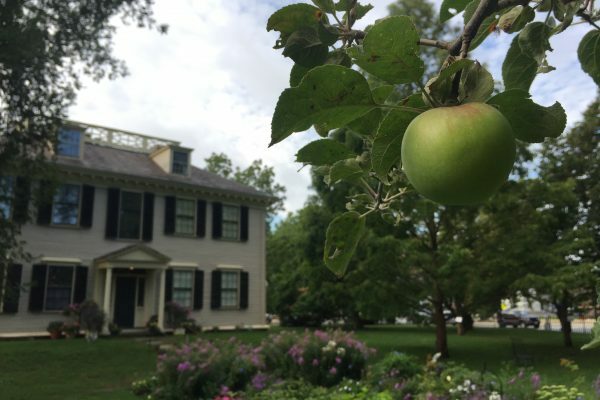 Over the next few months we will be spotlighting notable historic details in one of the most popular rooms in the house – The Kitchen! 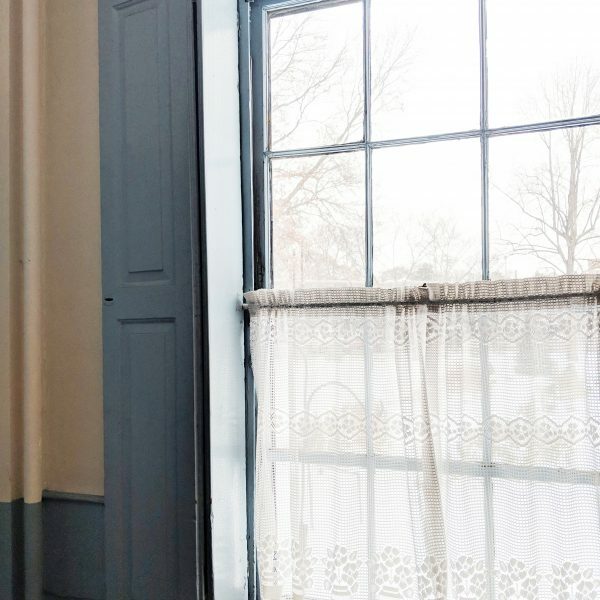 In pre Revolutionary Boston, windows were a very important source of light and ventilation, and glass was expensive and rare, often imported from England, Therefore, shutters, which actually had been in use for centuries, continued to be essential. 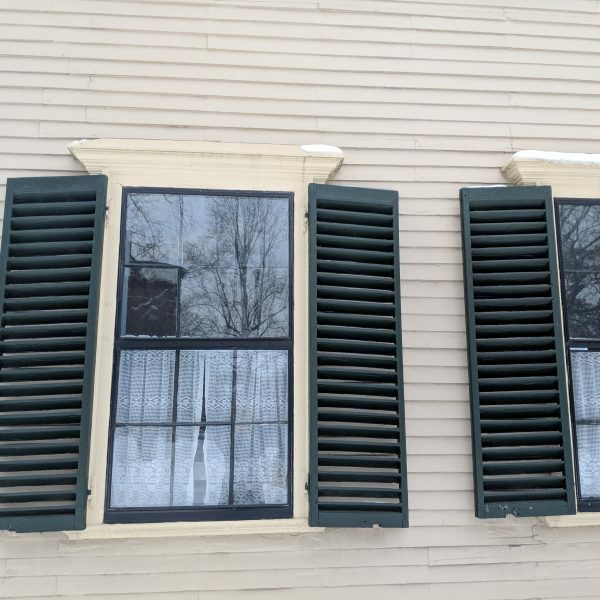 The Loring Greenough House historic kitchen has both interior and exterior shutters, which serve different purposes. Exterior Shutters are hinged, and can be swung back to the sides of the windows, held in place by specially designed brackets. The exterior shutters have fixed louvers, which are angled downward to deflect rain when closed, while still allowing ventilation. Closing the shutters and angling the louvers also provides protection from the sun, reducing heat gain and damage to interior furnishings, but still allowing for ventilation and illumination. The exterior shutters can be locked when closed, improving security. 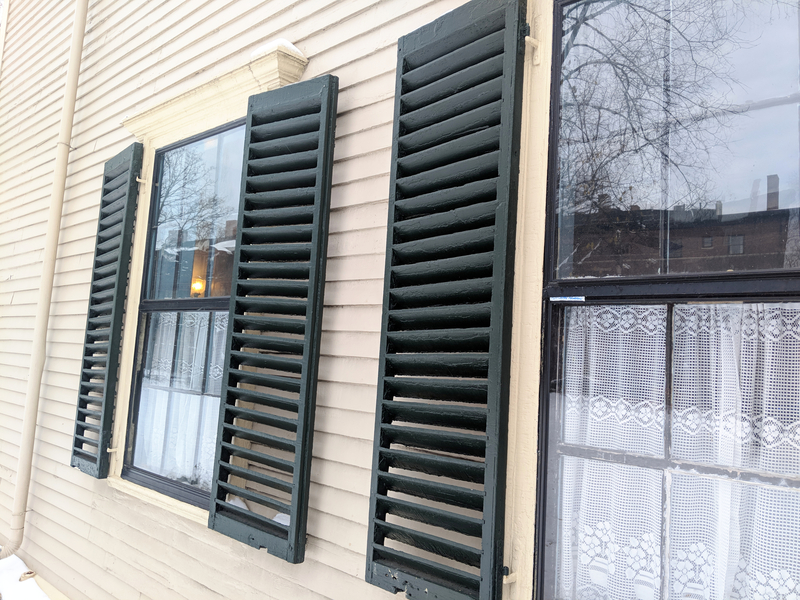 The exterior shutters on the Loring Greenough house are now fixed in the open position, since storm windows prohibit their closing. 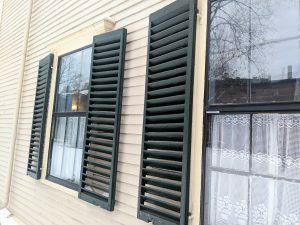 Interior Shutters are also hinged, but not louvered. 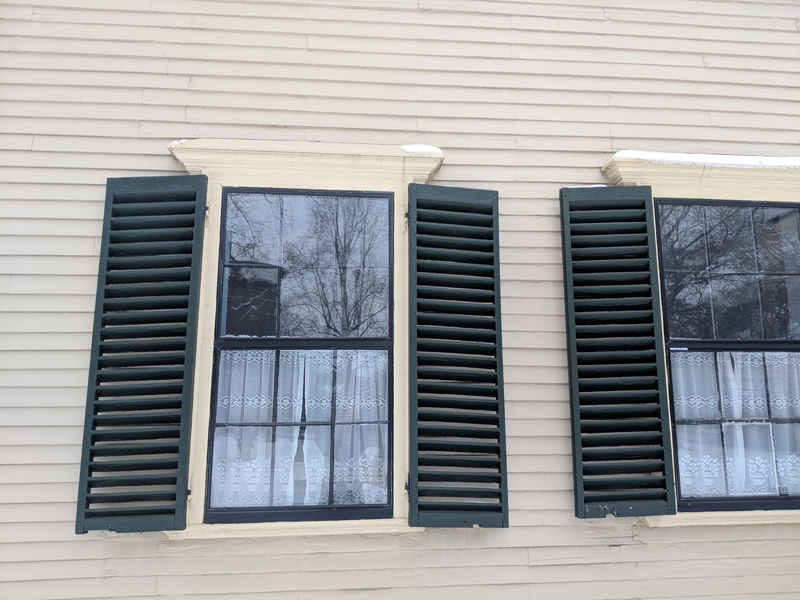 These shutters were designed to close during winter months, to reduce heat loss during the night. When open, the interior shutters in many parts of the house fold up against the sides of the window opening, keeping them out of the way and not interfering with curtains or furniture. 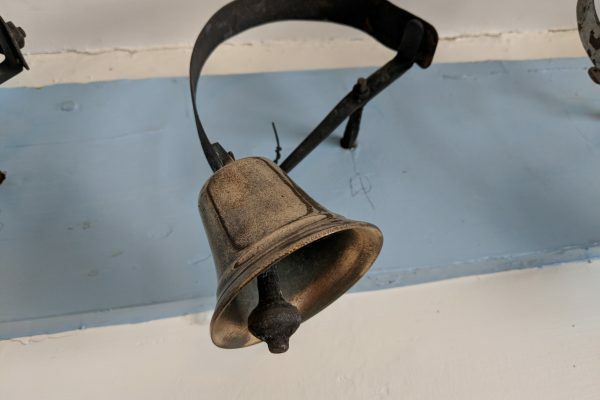 We still use them to this day, to protect the valuable wallpaper, drapes, and furnishings in our historic house. 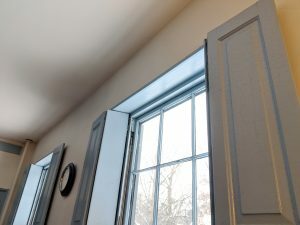 These shutters can be partially opened to allow more precise light control. 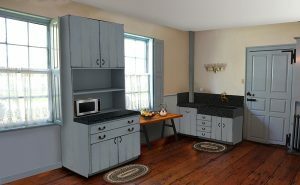 If you look carefully at the renderings of our planned kitchen renovation, you can see that the new cabinet between the two North windows is designed to accommodate the original interior shutters. 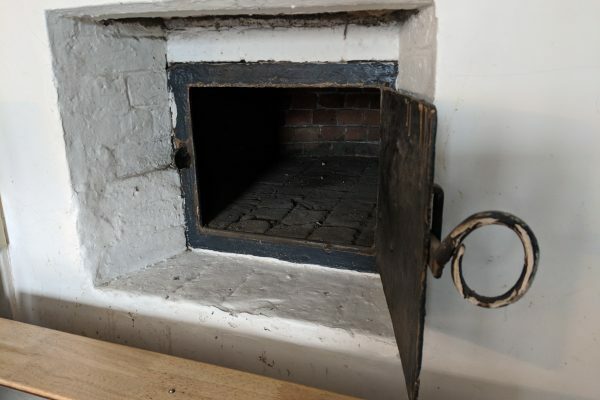 The shutters will fold up against the sides of the new cabinet, which is deep enough that they will virtually ‘disappear’ but can still be used as originally intended. Except for storm shutters near the seashore and metal security shutters on ground floors in cities, exterior shutters on modern houses in the US are generally decorative, They are made without hinges or movable louvers, and are fixed to the wall of the house. In contrast, interior shutters are functional, often used to replace blinds or curtains. They have movable louvers enabling adjustable light control and privacy. 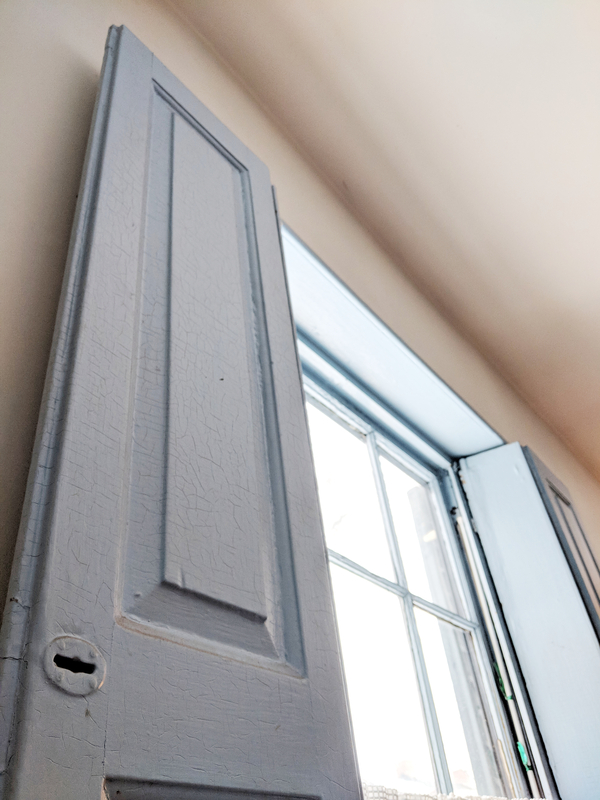 We hope you will come in for a tour or during one of our upcoming events to get a closer look at our shutters! Also, in case you haven’t heard, we are planning to restore our kitchen and have a GoFundMe to raise funds to complete this important project.